Port of Spain, Trinidad. 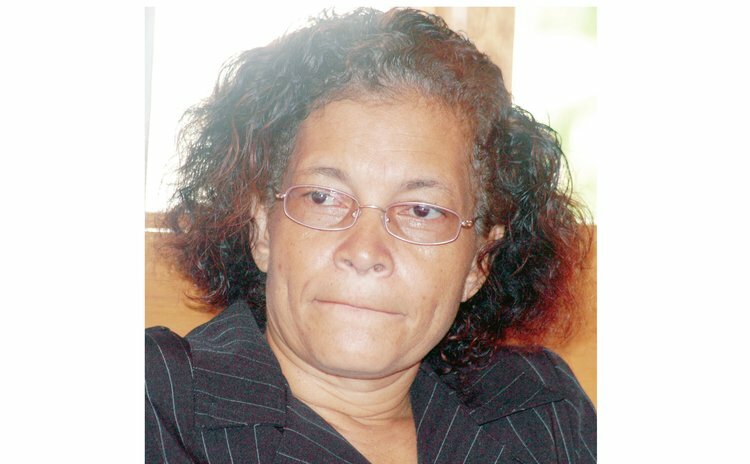 In Mariette Warrington v Dominica Broadcasting Corporation, the Caribbean Court of Justice (CCJ) today decided that Ms. Warrington, a former General Manager of the Dominica Broadcasting Corporation (DBC), should be paid the equivalent of six months' salary, gratuity and holiday pay totaling EC$52,3000 as damages. DBC had paid her one month's salary and an honorarium when they terminated her, and the High Court and the Court of Appeal had upheld these payments. At the CCJ, she had requested payment of her salary for the remaining years of her contract. However, the CCJ found she had not proved that loss and decided that "Ms. Warrington would have been entitled to the six months' salary in lieu of notice and this amount is to be regarded in law as agreed liquidated damages". At the root of this dispute was whether Ms Warrington's appointment was valid. She had served the organisation under two consecutive employment contracts as the General Manager which ended in 2008. Before the end of the last contract she wrote a letter requesting further employment with the Corporation as General Manager "under similar terms and conditions" with an increased salary and protection against arbitrary termination. DBC never responded to this request. At a board meeting, some months before the contract ended, a decision was taken unanimously to re-appoint her but this decision was never communicated to Ms. Warrington, although she later learned of it. Later the board decided to advertise the position of General Manager and Ms. Warrington applied for the position. She was the only applicant; however, the Corporation did not respond to her application. After the contract had ended Ms. Warrington was kept performing as General Manager, and early in the new period, she wrote to the Chairman of the board to inquire about her employment status but again received no answer. After some fifteen months performing as General Manager, in March 2010, the employee received a letter informing her that she was on a month to month contract and was terminated in the subsequent month. Ms. Warrington's claim for damages for the wrongful termination of her engagement was unsuccessful in both the High Court and the Court of Appeal. The courts below decided the purported contract of employment was invalid for non-compliance with the statutory provision that requires the Dominica Broadcasting Corporation's Board to act on the advice of the Prime Minister in appointing its managers. They did not regard as significant the fact that, on 17th February 2009, the Board met with the Prime Minister and discussed "the matter" of the Ms. Warrington's appointment. However, the CCJ noted that "it is most revealing that neither the Board nor the Minister (of Information) mentioned asking for the Prime Minister's advice on the selection of Ms. Warrington as Manager. It appears the Board and Minister took it as a given that he approved of her continuing as Manager". Board minutes bolstered the finding that the issue that engaged the Board and the Prime Minister was the length of the contract to give Ms. Warrington rather than the Prime Minister's approval of her continuing in the role. The CCJ found that Ms Warrington's appointment was therefore valid. The CCJ held that Ms. Warrington was entitled to damages calculated by reference to those benefits for which the former contract provided, including notice of 6 months before termination. The President of the Court, the Hon. Mr. Justice Saunders, in a concurring judgment, noted that "it was quite inappropriate for the Board, unilaterally and belatedly, to seek to impose a one month notice period. Apart from its inappropriateness, that period was unreasonably short". In addition to the damages of $52,300, Ms. Warrington was awarded costs at the CCJ, in the sum of EC$37,800, and prescribed costs in the High Court and Court of Appeal. Interest was also awarded on damages at the rate of 5% per annum from the date of the judgment in the High Court, until payment is made to Ms. Warrington. The full judgment of the Court, and a judgment summary, are available atwww.ccj.org.